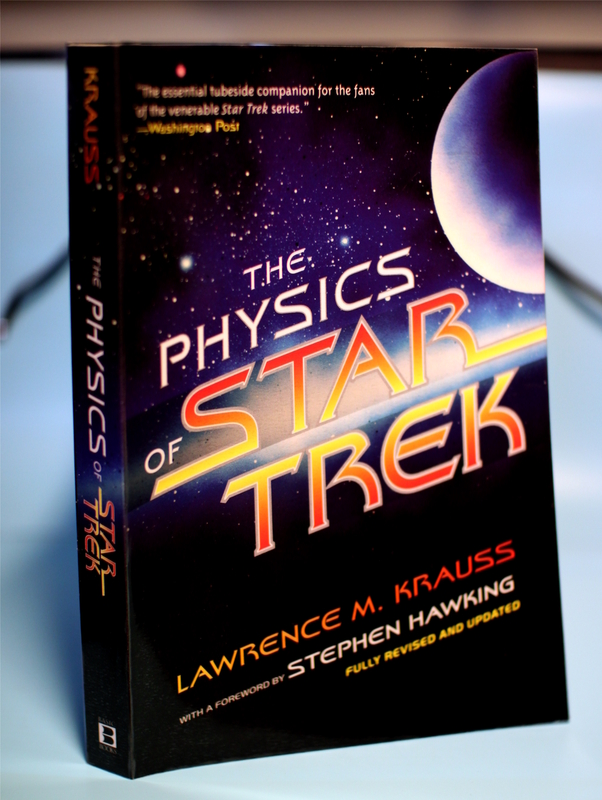 As the title says, the book is about physics – what is possible, what could be possible and what is improbable in Star Trek, there are also some plain mistakes in portraying physics in the series and the films which are mentioned in this book. In essence though you’d be reading about teleportation, interstellar travel, holography, antimatter, search for extraterrestrial life and basically modern physics and technology. Even if you’ve never heard of Kirk or Picard or haven’t come in contact with any part of the series or movies, then this book would still be fun to read. At some point I actually forgot that it had anything to do with Star Trek. Although it’s physics, it’s really easy to read and understand and one could possibly read it in one go over a few hours because it’s just so good. Warning: If you’re “allergic” to physics or despise science fiction keep a safe distance from the book! This entry was posted in Non-fiction and tagged Lawrence M. Krauss, Physics, Star Trek, The Physics of Star Trek. Bookmark the permalink.